Brain imaging methods allow a non-invasive assessment of both structural and functional connectivity. However, the mechanism of how functional connectivity arises in a structured network of interacting neural populations is as yet poorly understood. 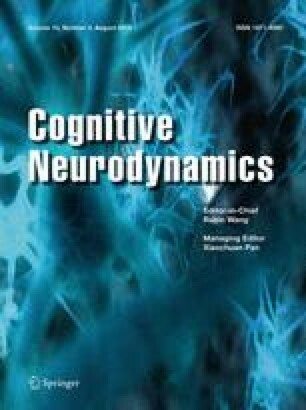 Here we use a modeling approach to explore the way in which functional correlations arise from underlying structural connections taking into account inhomogeneities in the interactions between the brain regions of interest. The local dynamics of a neural population is assumed to be of phase-oscillator type. The considered structural connectivity patterns describe long-range anatomical connections between interacting neural elements. We find a dependence of the simulated functional connectivity patterns on the parameters governing the dynamics. We calculate graph-theoretic measures of the functional network topology obtained from numerical simulations. The effect of structural inhomogeneities in the coupling term on the observed network state is quantified by examining the relation between simulated and empirical functional connectivity. Importantly, we show that simulated and empirical functional connectivity agree for a narrow range of coupling strengths. We conclude that identification of functional connectivity during rest requires an analysis of the network dynamics. This work was supported by BMBF (grant no. 01Q1001B) in the framework of BCCN Berlin (Project B7). We thank John-Dylan Haynes and his group for helpful discussions concerning the fMRI data processing and Yasser Iturria-Medina for sharing the dMRI data used in the study.